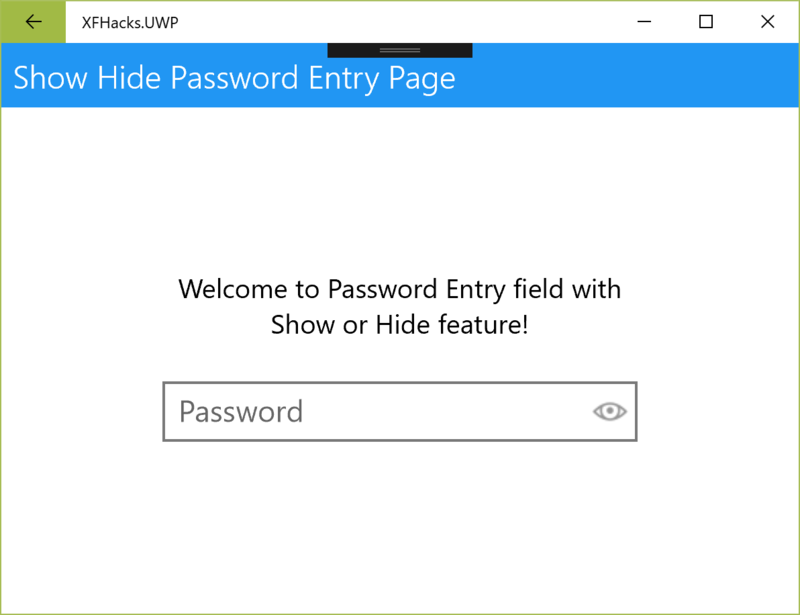 XFHACKS-004 Editor with a Placeholder! 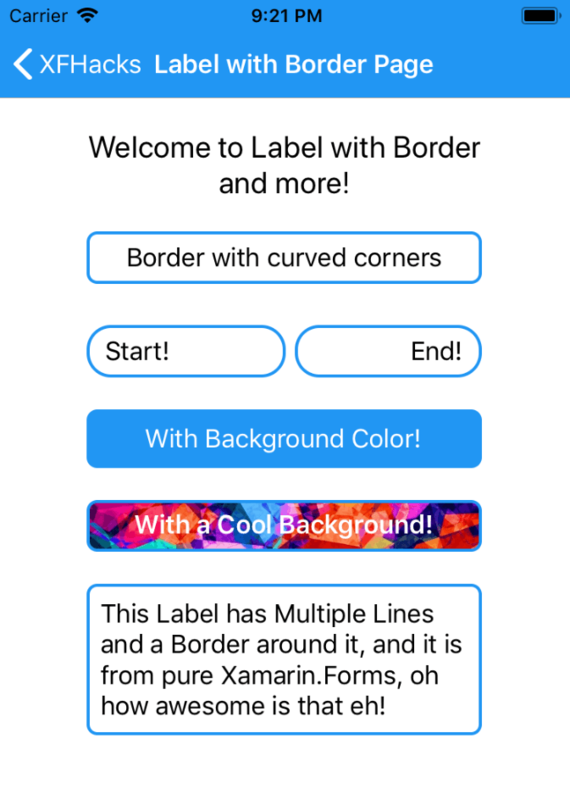 By Default Xamarin.Forms.Editor is a pretty boring control with not much room for customization, but is a very useful control. So I had always wondered why it didn’t have a Placeholder property like we have to the Entry control. 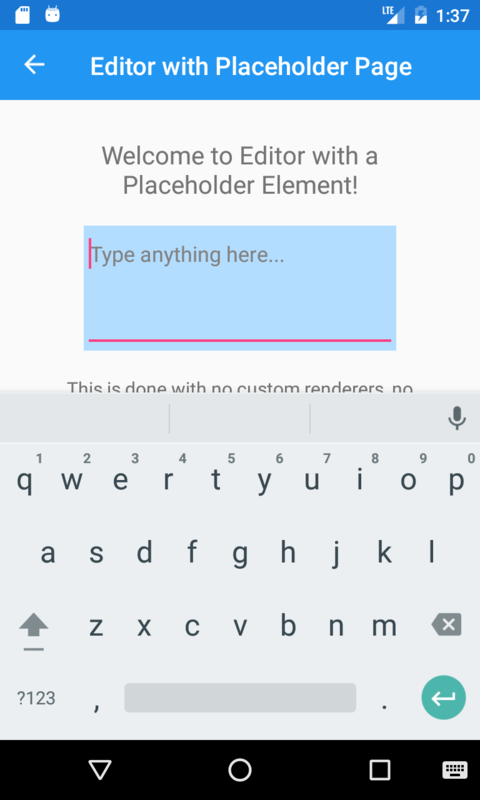 Let me begin with the concept of Placeholder, which is a text display that is visible in any Text Editable element until the user starts typing their input, and if the user clears his input the Placeholder comes back to visibility. 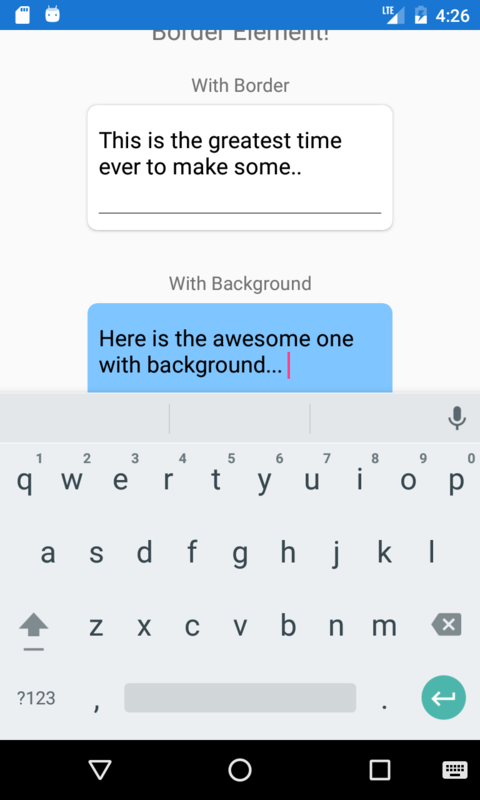 In simple terms we are going to stack a Label underneath our Editor control which will act as the “Placeholder” element and then we’re going to do some external handling to make that given Label to be set visible or invisible based on users text input typing event. The first part is pretty straightforward but the second part needs more explaining I assume. 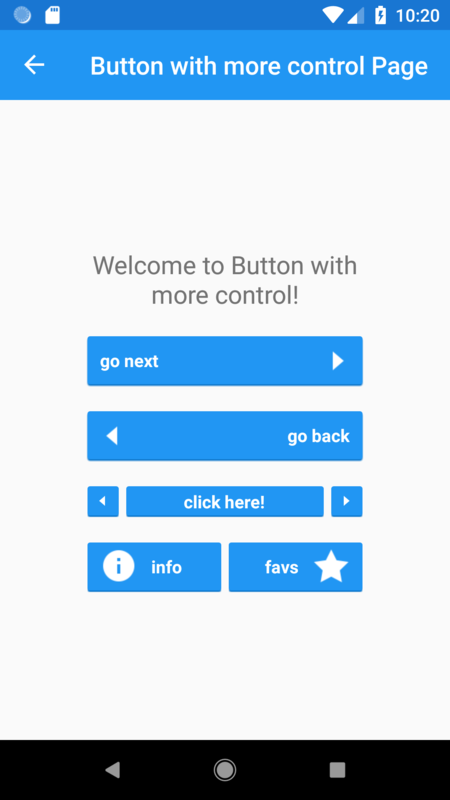 To do that we’re going to make use of the awesome Triggers in Xamarin.Forms, we’re going to implement a simple TriggerAction which will react to the event of Text field change of our Editor control. So inside the trigger execution we will set the Placeholder Label to be visible or invisible. 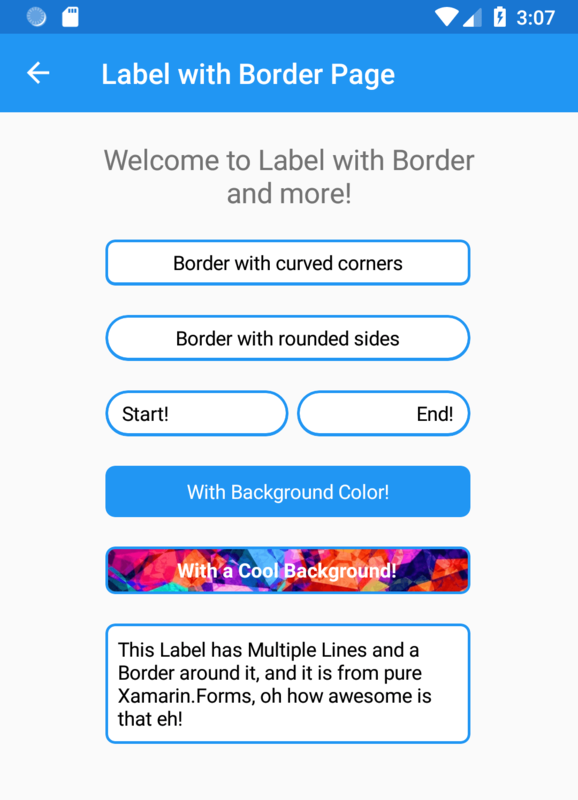 The Golden Triggers: So we’re going to use DataTriggers of Xamarin.Forms that allows us to listen to changes in a Data Field and react up on it, in this case the changes of the Text property of our Editor control. We’ll attach the DataTriggers to the Label and bind them to the Editor.Text property, then reacting on that our TriggerAction will hide or visible the Placeholder Label. How easy is that eh! 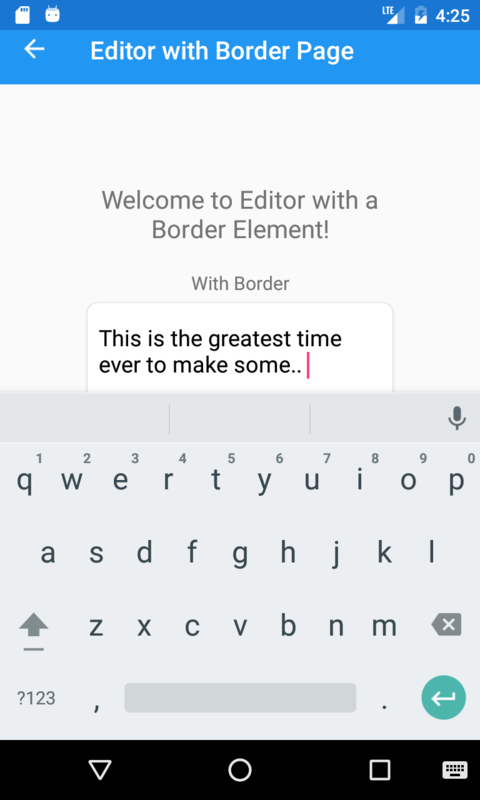 Let’s start off by implementing our awesomely simple TriggerAction which will be handling the event of Editor’s text field change. 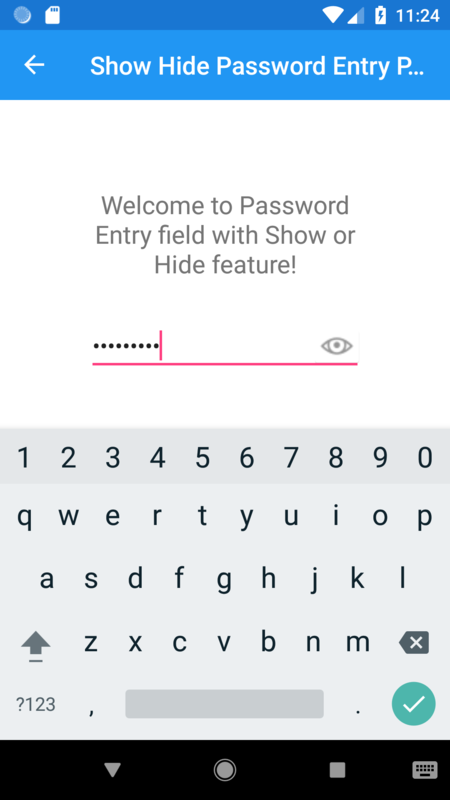 So we have a TriggerAction which can be reused anywhere to set a given View’s Visibility on demand, the reason I made it as a “View” type is exactly for the reason of reusability. So inside our Trigger we will be changing the value of IsViewVisible property to change the visibility of the Placeholder Label. There you have the Editor and the Label stacked on top of each other acting like a Placeholder for the Editor. Something important to note here is that, you can see the Margin property being set up in a bunch precise values, this was to align the Label’s text field with the text field of the Editor, so that they superpose each other nicely, which in returns gives the exact look and feel of a Placeholder property. 😉 In addition to that I have very carefully adjusted the default FontSize of the Label to match to the Editor’s! Smart eh! So with that note, if you want to customize the Editor’s FontSize or Font itself, you need to make sure to do the similar changes accordingly to the underlying Label’s property to match the same appearance. Now here’s the important bit, the golden Trigger. So we’re going to attach two DataTriggers, one for listening to the Editor.Text property’s null value instance (this is to be safe of null values in certain different platforms) and the other is for Editor.Text.Length property value changes. Based on those two instances we’re activating our Triggers accordingly with passing in the IsViewVisible value to it. So here are the XAML of the DataTriggers we just spoke about, which you should plug into the above code! There you have it, we’re binding our DataTriggers to the Editor’s Text property according to the two instances we discussed of, and setting the VisibilityTriggerAction‘s value to hide or visible our Placeholder Label. 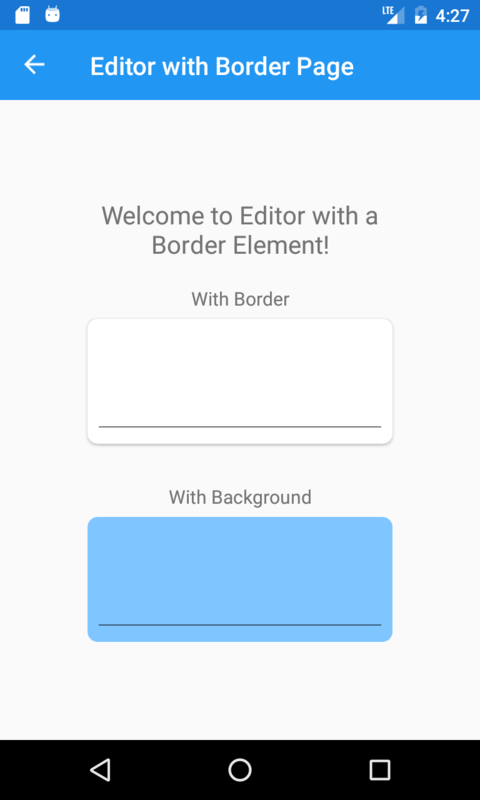 XFHACKS-003 Editor with a Border! 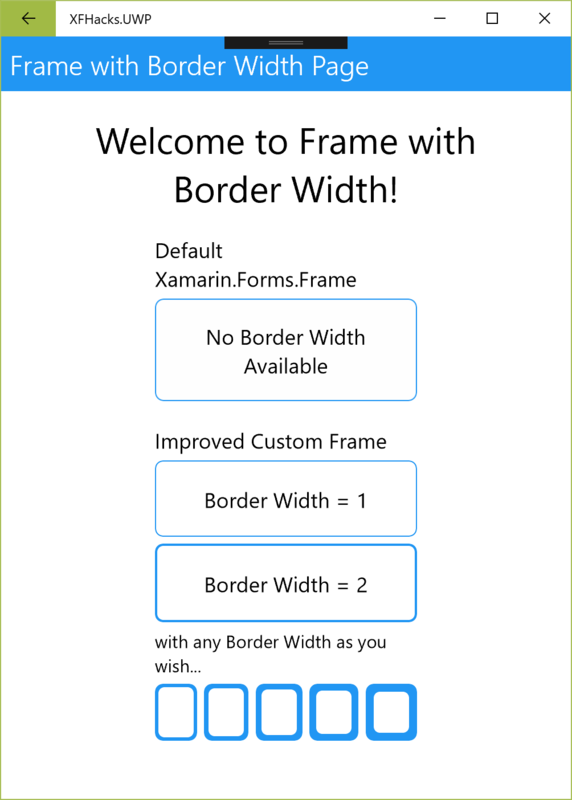 Ever wanted to have a Border around your Xamarin.Forms.Editor control? 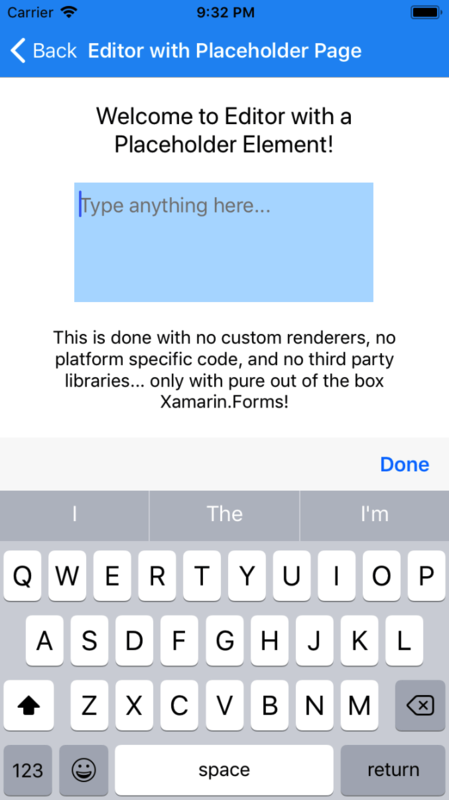 Welcome to another lightening short post of me hacking around Xamarin.Forms elements! 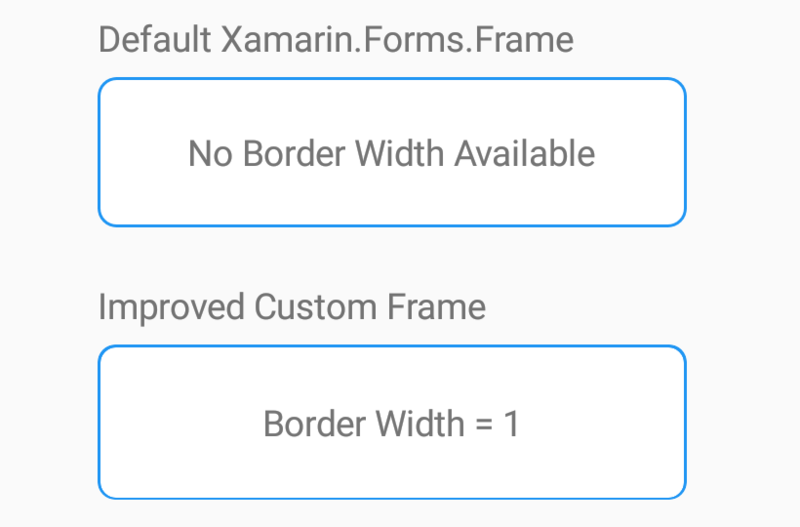 The default Xamarin.Forms.Editor control is a very dull and simple control which doesn’t have much of customization properties of its own. In this case the Editor doesn’t even have a proper border around it that explicitly shows the edge of the element. 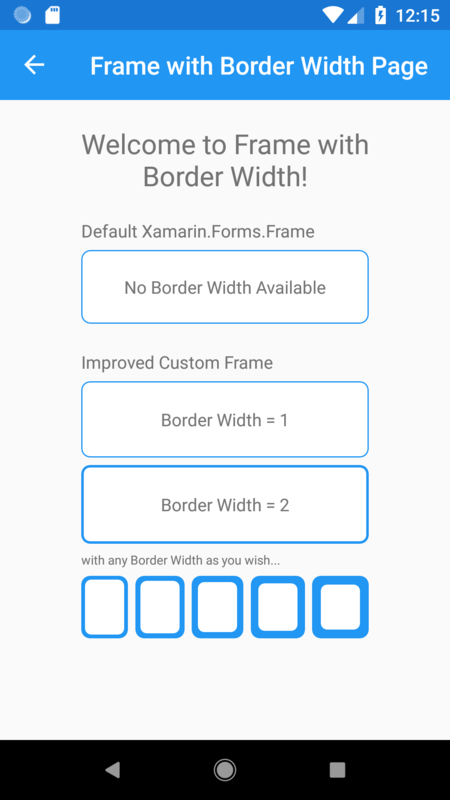 So here we’re going to look into how to add a nice Border around Editor in Xamarin.Forms without any custom renderers or 3rd party libraries! How simple and easy is that eh! 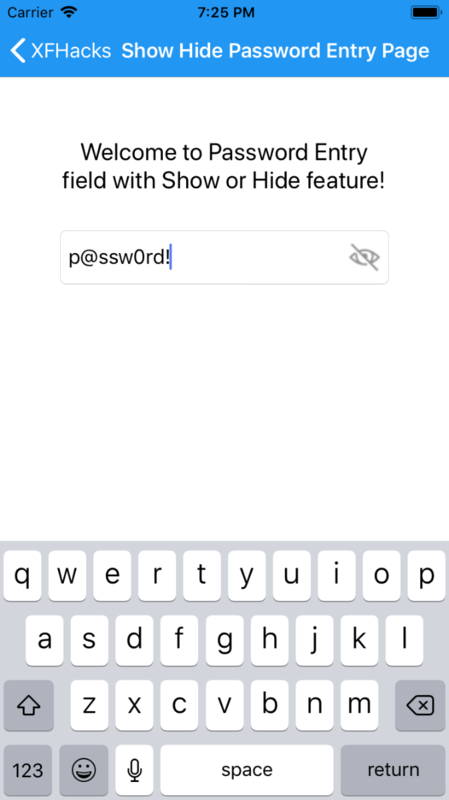 HasShadow property is something you could change as you wish, which you should keep in mind, behaves differently on iOS and Android. 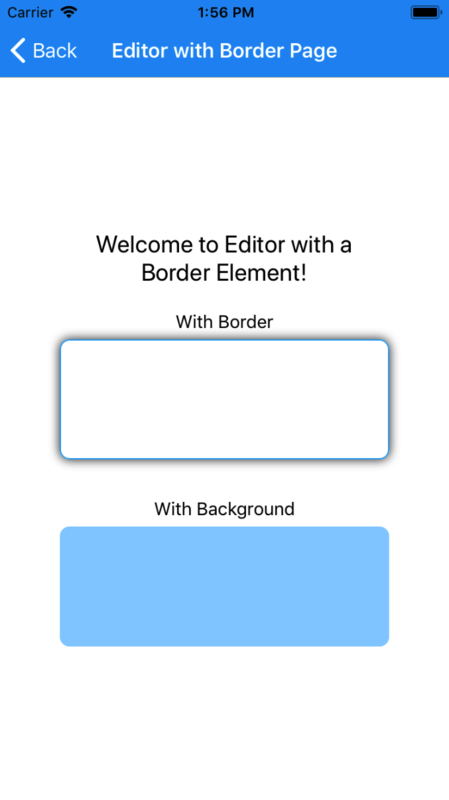 Now just to add something extra, imagine if you wanted to have the whole background with a certain color for the given Editor, this is how simple it is! 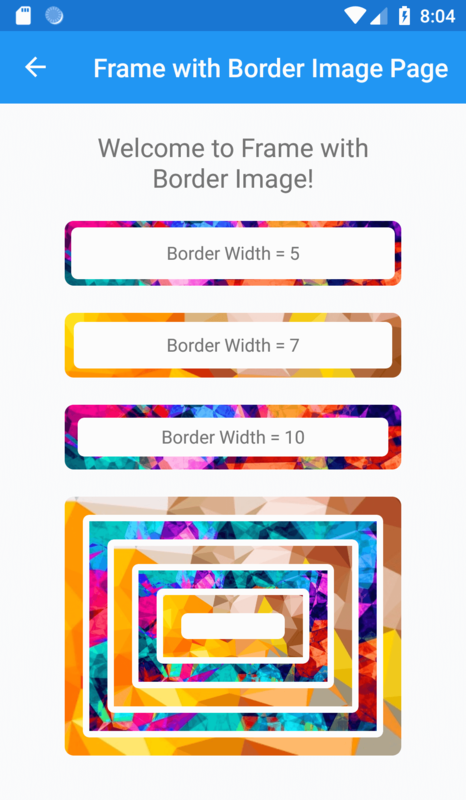 We simply add the BackgroundColor property of the Frame and then you set the HasShadow to false so it doesn’t show up Border Color just for the kicks of it. 😀 So just like that you could easily customize this as you wish! There you have it running on Android and iOS like a charm! 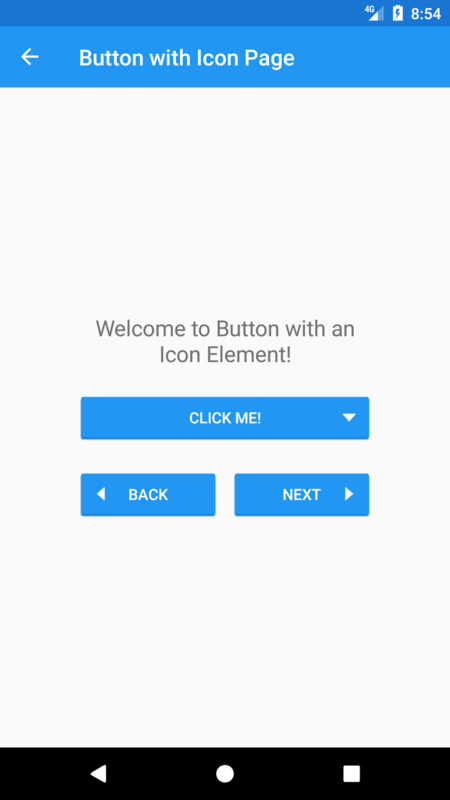 XFHACKS-002 Button with an Icon! 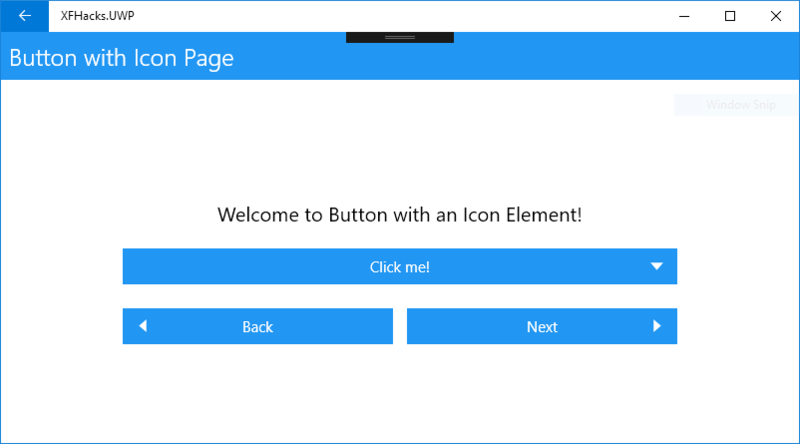 Ever wanted to have an Icon element attached to a Xamarin.Forms.Button control? 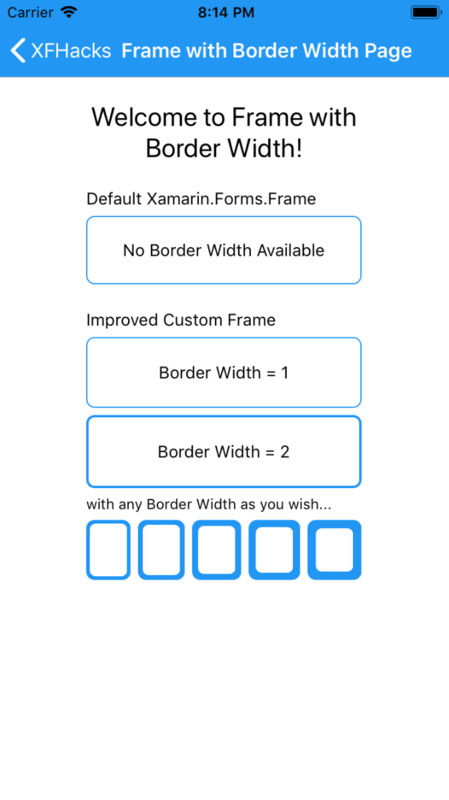 Welcome to another lightening short post of me hacking around Xamarin.Forms elements! 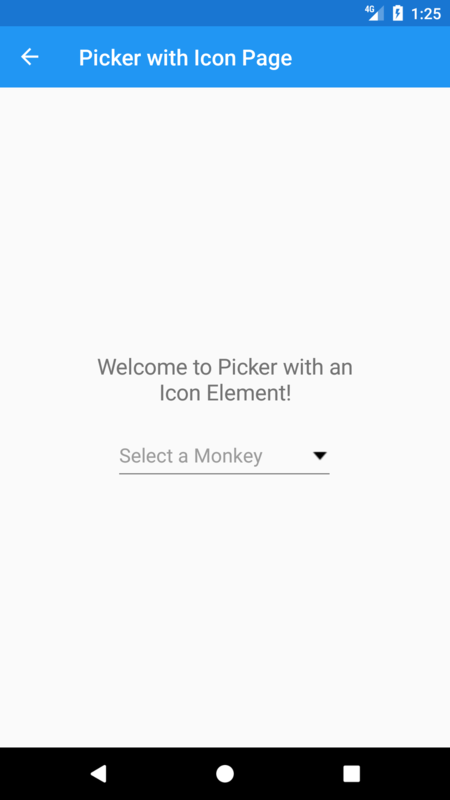 In this recipe we’re going to use the same concept that we used in the XFHACKS-001 article, stacking Elements on top of each other using Xamarin.Forms Grid Layout. 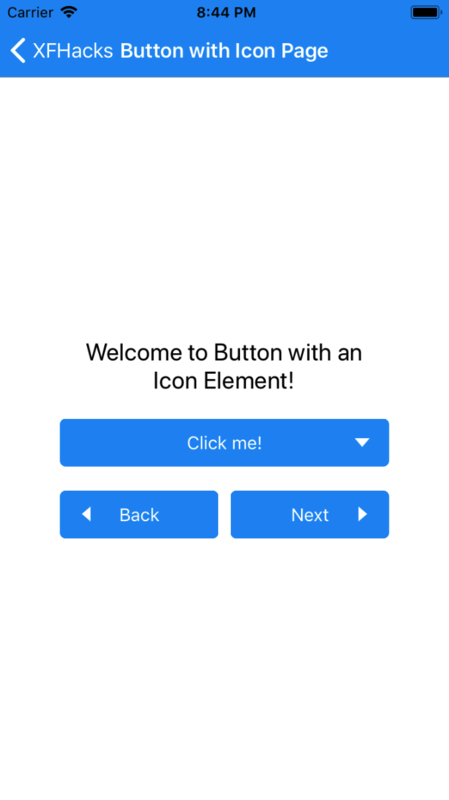 So here we’re placing an Image on top of a Button. There you have it just like we discussed, inside the Grid we have a Button, and on top of that we have an Image, with our magical property InputTransparent set to true, which disables the touch events of the Image redirecting them on to the Button itself. 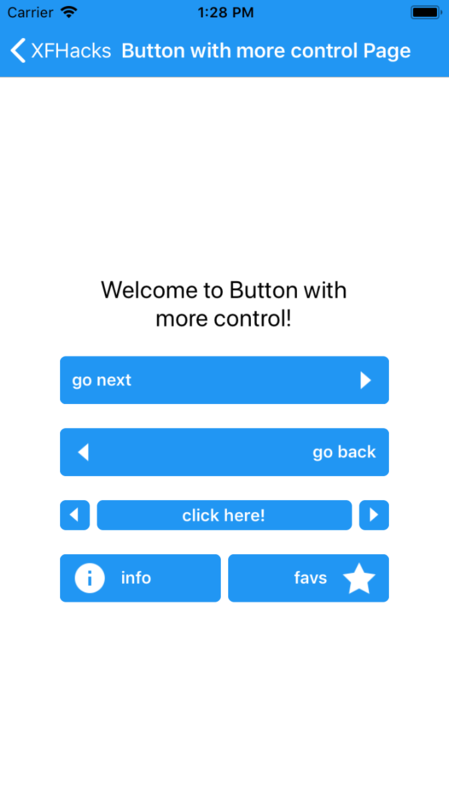 So by this the whole Image and Button works as a single Button control. I have given a little padding to the Image, so that the icon doesn’t corner itself in the Button. 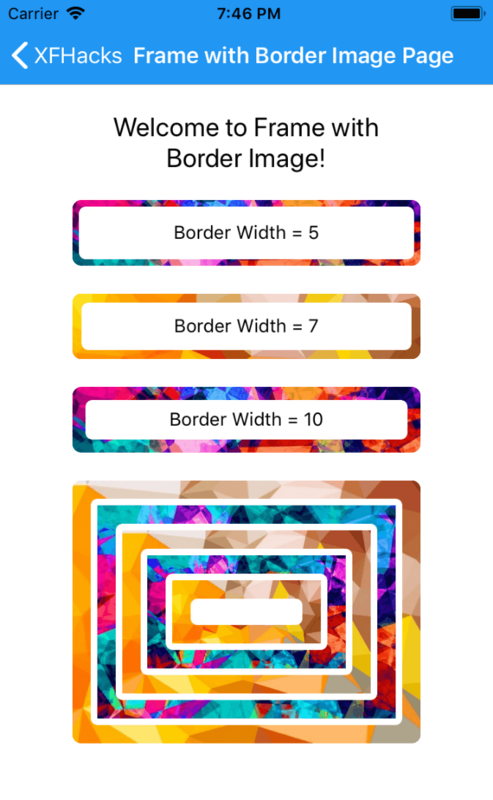 The Image has a fixed width and height of 25 units, and its set to the second column of the Grid, whereas the Button spreads across two columns filling up the entire space of the Grid. Thereby you can set any fixed size to the Grid itself or let it Fill up whatever the parent container its holding. There you have it running on Android, iOS and UWP like a charm! XFHACKS-001 Picker with an Icon! 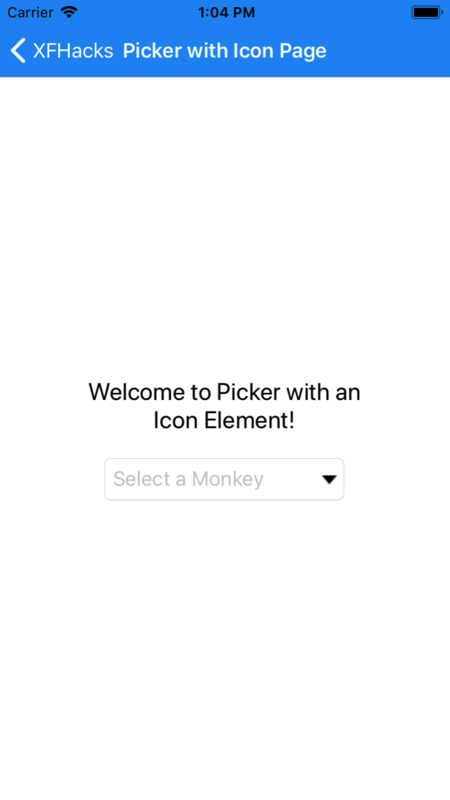 Ever wanted to have an Icon element attached to a Xamarin.Forms.Picker control? Then you’re at the right place. 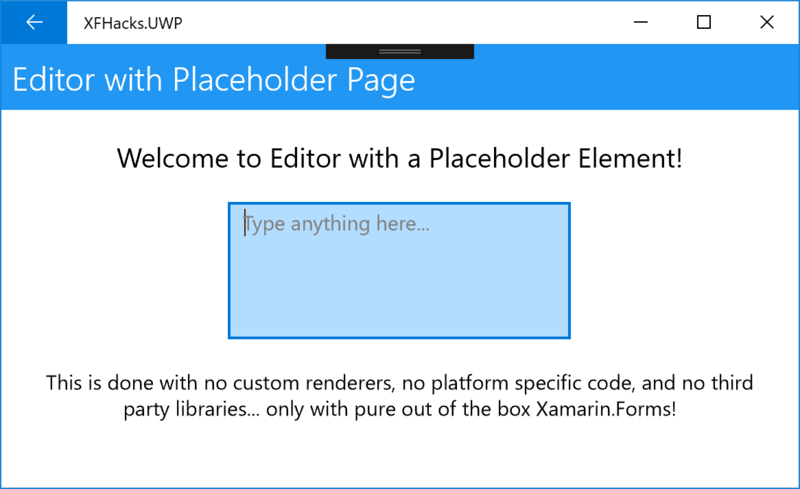 Welcome to another lightening short post of me hacking around Xamarin.Forms elements! Usually you would think you need to implement a Custom Renderer to get this done or use a third party control! I say NO! NO! NO! 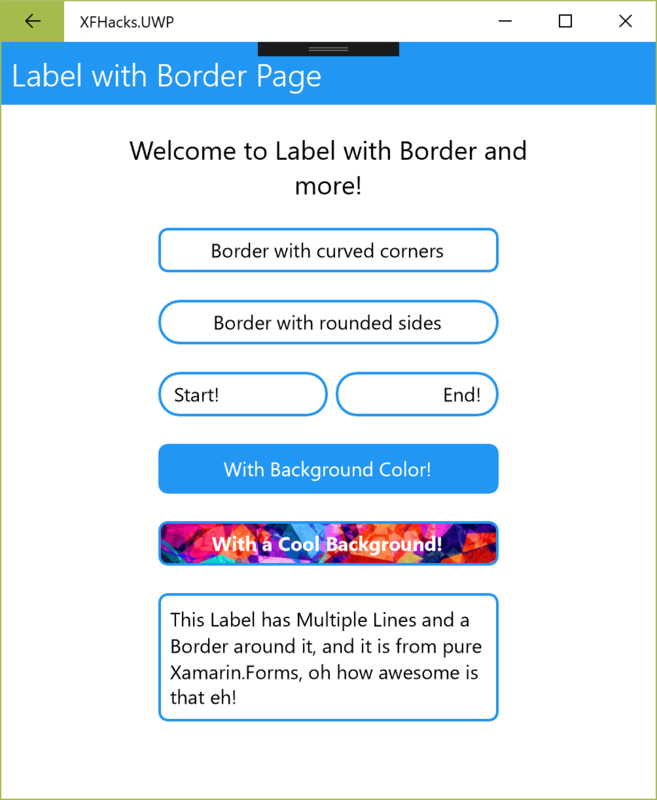 You can easily do this right from Xamarin.Forms without any native coding or 3rd party library, let me explain. 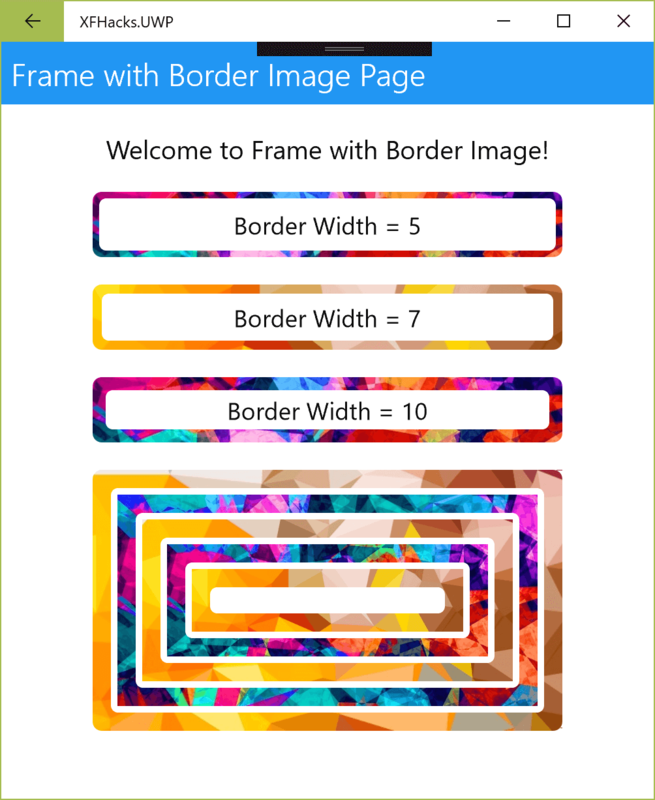 In a Xamarin.Forms Grid layout we could place Elements on top of each other, using this simple advantage, we’re going to place an Image as an icon under a Picker control, and of course we’ll be setting the Background color of the Picker to Transparent! 😉 Simple right?! You can set the WidthRequest to whatever the value you prefer. 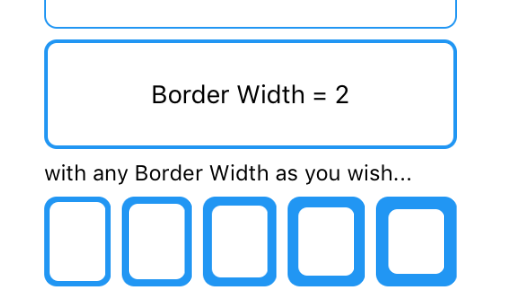 And as of Platform specific values we’re setting the Grid Height accordingly to the best appearance of Android and iOS separately, you’re in full liberty to change them as you wish. There you have it running on Android and iOS!